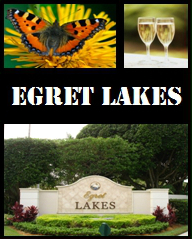 EGRET LAKES... an exclusive neighborhood of 33 custom homes totally surrounded by views of sparkling lakes and pristine fairways of the Legend #4, #5, #6, and # 7. Each homesite is approximately 1/3 acre and offers a wide variety of custom estate residences by Ibis' award-winning participating builders. 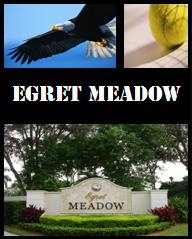 EGRET MEADOW... an exclusive area of 48 homesites with distinctive custom homes by Ibis' participating award-winning builders/ This neighborhood is framed by the 2nd, 3rd, 4th, 5th and 8th fairways of the Legend and offers wonderful lakefront views. Each homesite is approximately 1/3 acre. 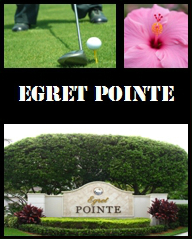 EGRET POINTE... this exclusive neighborhood of two cul-de-sacs showcases 45 custom homes, by Ibis' award-winning participating builders. Each homesite is approximately 1/3 acre. Totally surrounded by outstanding views of beautiful natural lakes and pristine fairways of Legend #1, #2, #3, and # 18, these custom residences offer innovative designs and are timeless in appeal.